Another interesting thing about Kingman is how well hidden its colorful history is. Okay, the main drag (Route 66) is Andy Devine Avenue, a tribute to the actor who grew up here. How many know that Louis L’Amour worked in the Katherine Mines near Kingman, that “Lucky Lindy” established the first commerical airfield here or that he was a frequent guest at the Beale Hotel? 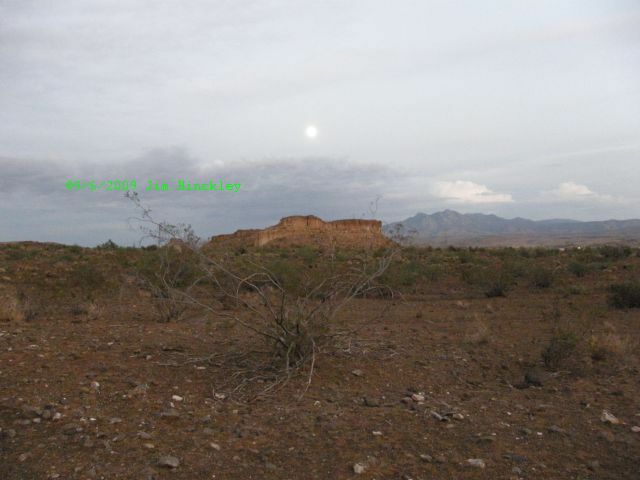 I have written on several occasions that the 1914 Desert Classic “Cactus Derby” Race followed the National Old Trails Highway east from LA, through Oatman to Kingman, and Ashfork before turning south towards Phoenix via Prescott. This grueling test of man and machine featured novice drivers and men at the top of their game such as Louis Chevrolet and Barney Oldfield. From Oatman over Sitgreaves Pass, the road they followed was even steeper than the pre 1953 alignment of Route 66 driven today. This photo is of an old bridge on the road they would have followed from Goldroad to the top of the pass. Tap Duncan, a legendary western character with ties to Butch Cassidy and the Sundance Kid checked out in downtown Kingman on Route 66 during the 1930s. A drunk driver, not gun play, ended his wild and wooly days. The peacefull landscapes at Fort Beale to the northwest of Kingman mask the drama and tragedy that took place here during the 1870s and 1880s. This was the first Hualapai Reservation and the staging area for the Hualapai Trail of Tears, a forced march from the springs to the Colorado River. Over the years Kingman has a number of close calls and brushes with fame as well as fortune. After World War II, a Pentagon evaluation determined that the Kingman Army Airfield would be rendered obsolete by projected growth so the base was closed. Meanwhile, the Nellis base at Las Vegas was kept open as it was not endangered by urban growth. During the war the Kingman airfield, and its subsidiary bases, at present day Lake Havasu City, Red Lake, and Yucca, was counted among the largest training facilities in the nation. After the war it was utilized for the storage and dismantling of military aircraft. At one point in the late 1940s the south side of Route 66, for more than four miles, was lined with heavy bombers and fighter planes. An Arizona Highways article noted this was the largest concentration of military aircraft in the world. Today the sparse remnants are lost among the modern industrial park at the airport and urban sprawel across the old gunnery ranges. Still, the control tower, one of three World War II towers in the country, casts its shadow over a monument to those who died in one of the worst training accidents up to that point in time and a few hangers remain. The auxillary field at Yucca was given a new lease on life in 1955 as a test facility for Ford Motor Company. It was here the new Thunderbird and Continental were put through the paces. Today, it is Chrysler and Harley Davidson that test products there. North at Kingman, near the Skywalk at Grand Canyon West, massive toweres stand in mute testimony to an amazing engineering accomplishment, a cable car system built across the chasm of the Grand Canyon. The short lived venuture operated during the early 1950s to facilitate shipping from a mine on the north rim. The joke may be that Kingman was founded by those who stopped and waited for the wind to quit blowing and everyone else just broke down here but the reality is Kingman has a great deal to offer. That this secret has been kept for more than a century is, perhaps, the most amazing thing about Kingman.